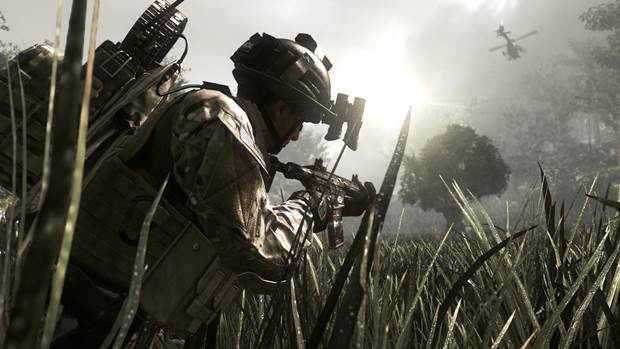 YouTube user who revealed COD Ghosts has new details on Sledgehammer’s iteration. If you thought Sledgehammer Games would reinvent the wheel come time for Call of Duty 2014’s release, then YouTube user Drift0r has news for you. After successfully showcasing details about Call of Duty: Ghosts ahead of its first-time reveal, he now claims that an insider from the studio has sent him assets and game files for Sledgehammer’s next release. He also believes this next game in the series will be a new Modern Warfare game. The files showcased “some sort of power plant” with turbines, multiple floors and a helipad, and that everything showcased thus far has been uniquely created. Drift0r believes that this new Modern Warfare will be set in the near future and even talks about a Titanfall-like weapon. The protagonist also has a wrist device like that seen in Black Ops 2 which relayed information and communication besides controlling drones. Drift0r also says that a source at the Destination PlayStation event held by Sony confirmed that Modern Warfare 4 was in development. It’s worth taking that last bit with a touch of salt but hey, it wouldn’t be beyond Activision to revisit one of its more successful Call of Duty titles.